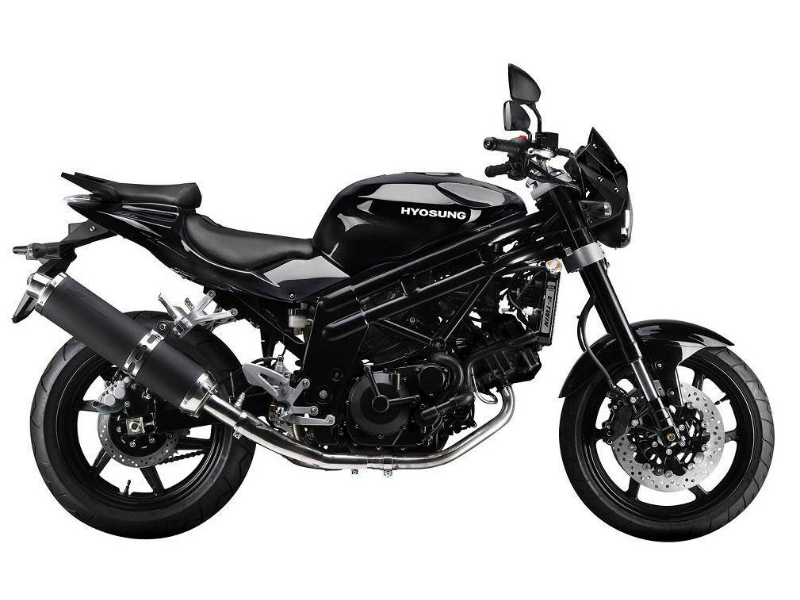 Hyosung's popular vehicle GT650 is now available as GT 650N limited edition. This bike is very much similar to its older brother but posses with naked fairing and adds little more touch up to its design. The sporty red paint on its engine and pin strips on the wheel are some of the additional features of the bike which give new touch up. No doubt that it is hard to compete with the outlook of the bike and this eye raising features is carried even in its technical aspects, which together makes this bike, a trendy and influential. The super bike Hyosung GT650N limited edition comes with powerful 647 cc, 90 degree, 8 valve, V-twin engine producing the maximum power of 72.68 Bhp at 9000 rpm and the highest possible torque is 60.9 Nm at 7500 rpm. The power generated by the engine reaches the wheel thorough well designed six speed transmission. The wet sump lubrication and large cooling system used helps in the overall efficiency of the engine which thereby takes care of fuel economy. 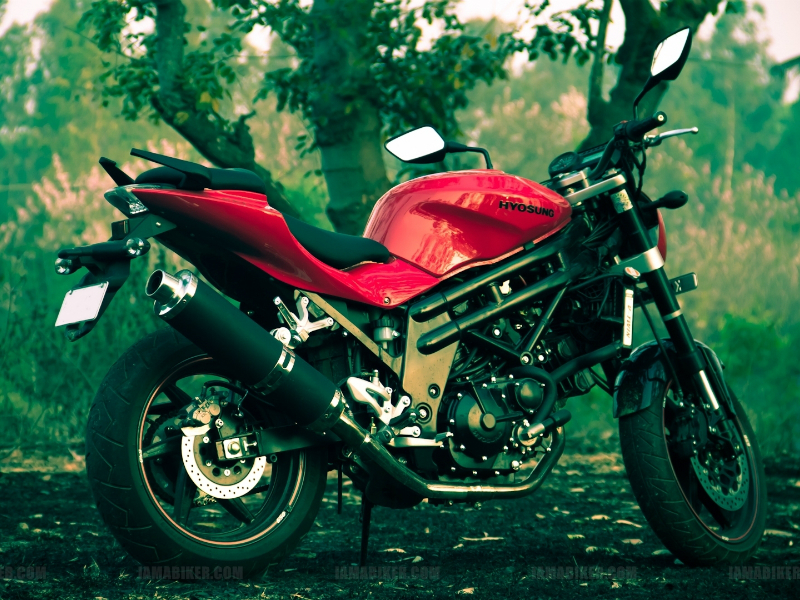 The design of the bike is very attractive and appealing thereby serving as a head turner on road. This mid weight naked fairing bike with low rider seat and high passenger seat gives a trendy look to its overall structure. Striking graphics design on the fuel tank of the bike adds additional marks to its style statement. The design of the exhaust pipe and head light are other prominent features of the vehicle which seeks attention. The front telescopic suspension and rear swing arm suspension with hydraulic mono shock absorber are noted technicalities of the bike which provides smooth and trouble free ride thereby adding to its comfort. Riding the Hyosung GT650N LE is same as that of its previous version GT650 as almost all the technical features including the engine, suspension and braking system used are similar. The powerful engine of this bike gives a wonderful driving experience and the vehicle completely remains under the control of rider even at higher speeds. The suspension and brakes used are plus points of this bike as they assure smooth ride and greater safety. The terrifically stylish bike Hyosung GT650N LE offers the mileage of about 17 Kmpl under certain standard driving condition. 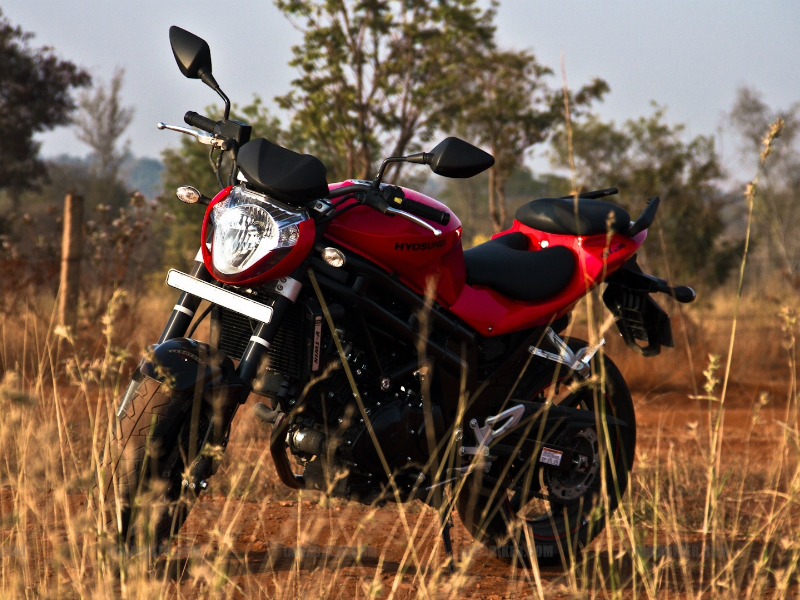 The base price of Hyosung GT650N LE is about Rs. 3,80,000 and the colors available in this bike are Red, White, Black and Metallic Copper.